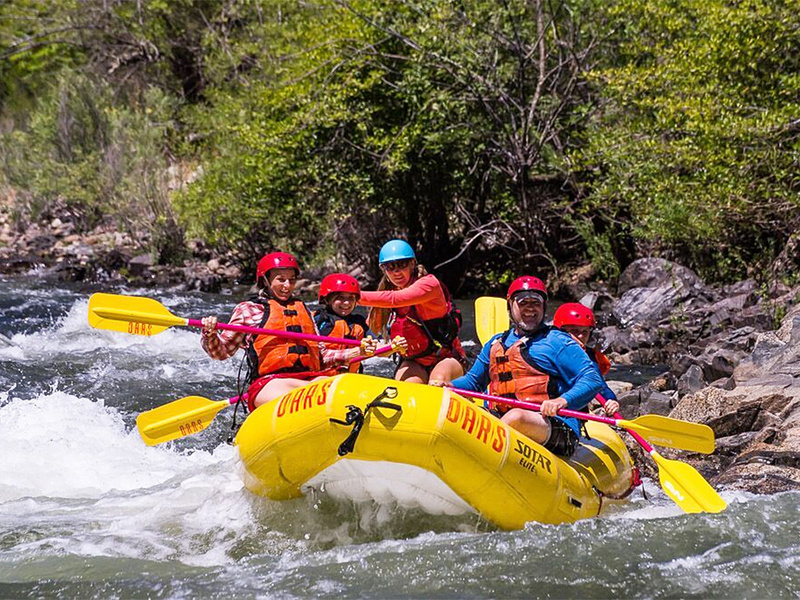 rafting on the American River? OARS is excited to offer one night of complimentary camping at our American River Outpost—exclusively available to our rafting guests! 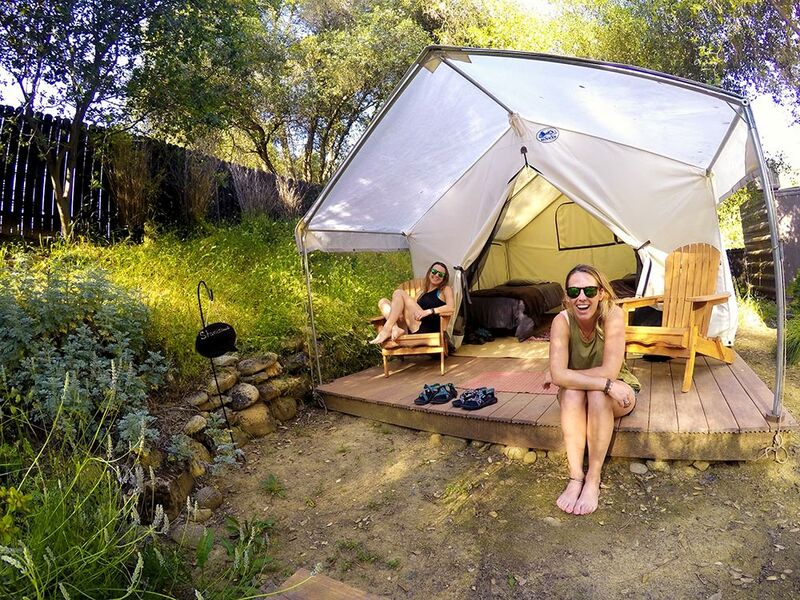 Whether you’re interested in relaxing in the shade, swimming by the beach, or enjoying a good cookout, our campground is the perfect way to extend your rafting trip into a fun-filled California getaway. 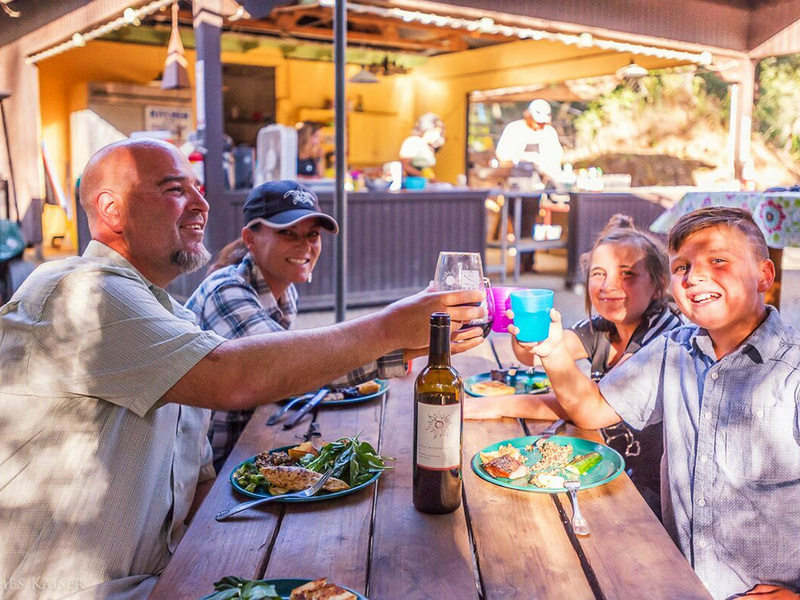 If you’re ready to spend a night or two under the stars before or after your South Fork American River rafting or Middle Fork American River rafting trip, we’re here to help with whatever you need! If you have your own gear, you can pitch your own tent on one of our great campsites. Of course, if you’re not a regular camper, we have all the gear you might need available for rent. Finally, if sleeping on the ground just isn’t your style, then you might be interested in our pre-set platform tents, which are fully equipped to make your camping excursion both comfortable and relaxing. 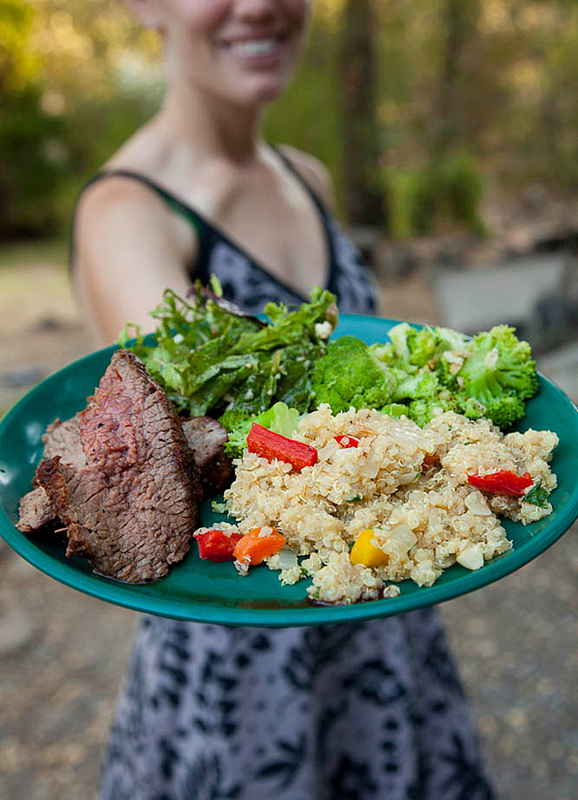 The best part about camping with OARS at our American River Outpost? You get to enjoy a leisurely morning—sleeping in, reading a book or going for a hike— rather than an early departure and the stress of traffic en route to the meeting point for your trip. Limited Pre-Set Platform Tents – Call early to reserve yours! CLICK HERE for a campground map and regulations. Camping reservations must be made in advance of arrival and guests may check-in between 3:30 and 8:00 PM. 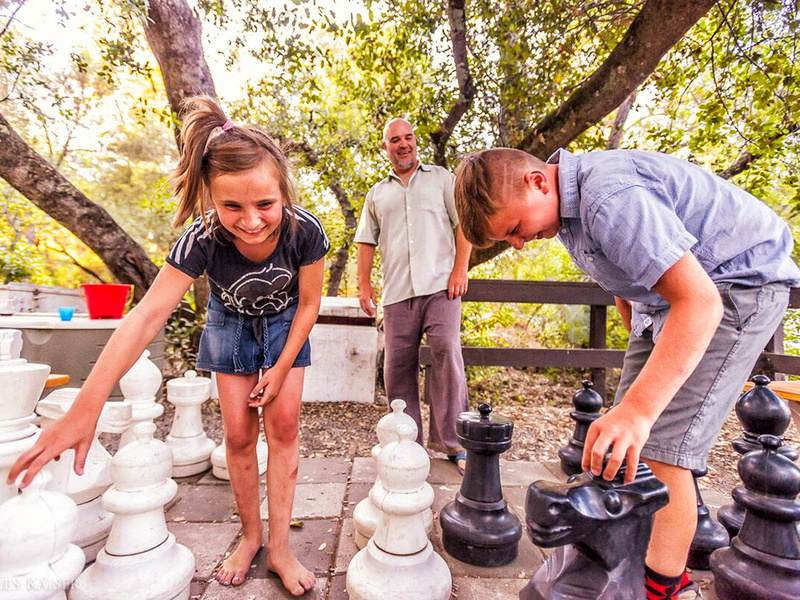 We reserve the right to assign campsites on the basis of departure and arrival dates, group size, and special needs, although we will take requests for specific campsites into consideration. 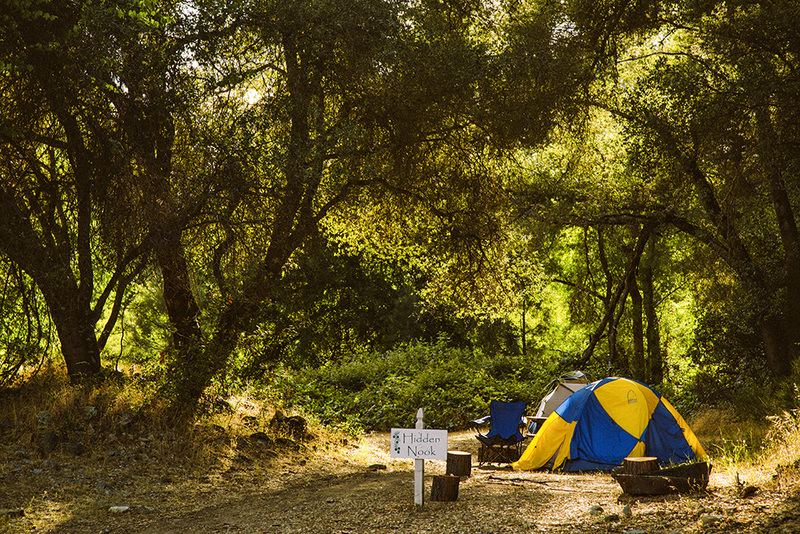 Call 530-626-5600 to take advantage of complimentary camping before or after your trip! If you don’t have your own camping gear, please ask about renting ours! Whether it’s a tent, a sleeping bag, or anything in-between, we’ve got you covered. Our tents fit two adults comfortably and cost $30 per tent to reserve. Family tents cost $50. Our sleep kits cost $25 per person, and contain a sleeping bag, sleep sheet, pillow, pillow case, and an air- and foam-filled ground pad. Alternatively, you can rent just an air- and foam-filled ground pad for $10 per person. Rentals should be arranged in advance of arrival. To reserve camping gear or a pre-set tent call 530-626-5600. While we at OARS are huge advocates of roughing it a bit, we also enjoy the finer things in life. 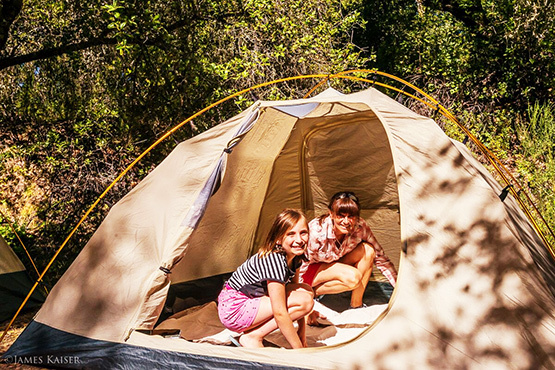 Our pre-set platform tents are conveniently set up before you arrive and include all the amenities you’d never imagine as part of an outdoor camping experience. Ask your adventure consultant for more information, as there is limited availability! Our platform tents cost $85/night Sunday to Thursday and $100/night Friday & Saturday. Dinner and breakfast are available by request for groups of 12 or more; if your group is smaller, please ask about dates we are already serving meals, and we’ll do our best to accommodate you. Dinner menus change regularly, but always include a main course, a fresh salad, and at least one side. Happy Hour includes a selection of local wines, micro- and macro-brewed beer, and soft drinks; appetizers will also be served, with an assortment of cheeses, crackers, olives, and tapenade. Please ask us about the ability to accommodate your dietary needs or restrictions. If you prefer, we can recommend some delicious dining options within walking distance! 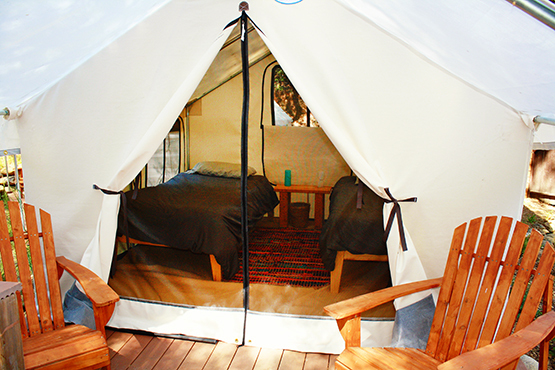 Call 530-626-5600 to take advantage of complimentary camping with OARS!